Four generations of passion, expertise and commitment to transform rooms with the beauty of an Oriental Rugs. As a fourth generation family business, we are still passionate about oriental rugs that are rich in textures, jewel-toned colors and bold and elegant designs representing the heritage and beauty of places most will never visit. “Every great rug has a story.” Having grown up with them, we have seen first-hand their arduous long journey from raw wool to exquisite pieces of art, through a maze of highly skillful processes of designing, meticulously matching colors, dyeing the wool to exacting colors with very narrow margins, mapping the rug pattern– knot by knot – then putting each and every knot by hand by highly skilled artisans. 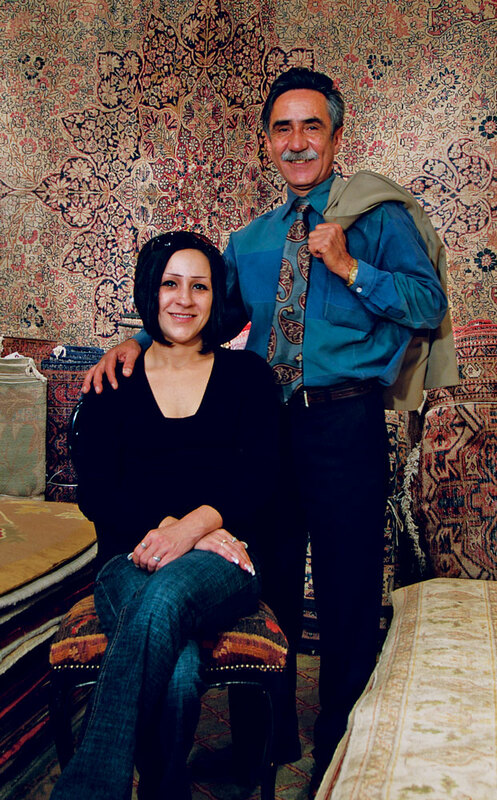 In 2009, after over 30 years of uncompromising activities in the antique tribal rug and textile art trade, Sam Ramazani of Atelier Oriental Rugs passed the torch to his Daughter Sara. Sara’s Oriental Rugs continues as a private dealer who specializes in antique, semi antique and new tribal rugs and woven art in the traditions from the Near East and Persia, through Central Asia, and the Silk Road to China. All the services, expertise, integrity and unique rug offerings that have become the Ramazani hallmark, will continue for our current and future clients searching for that extraordinary rug. We look forward to serving you.